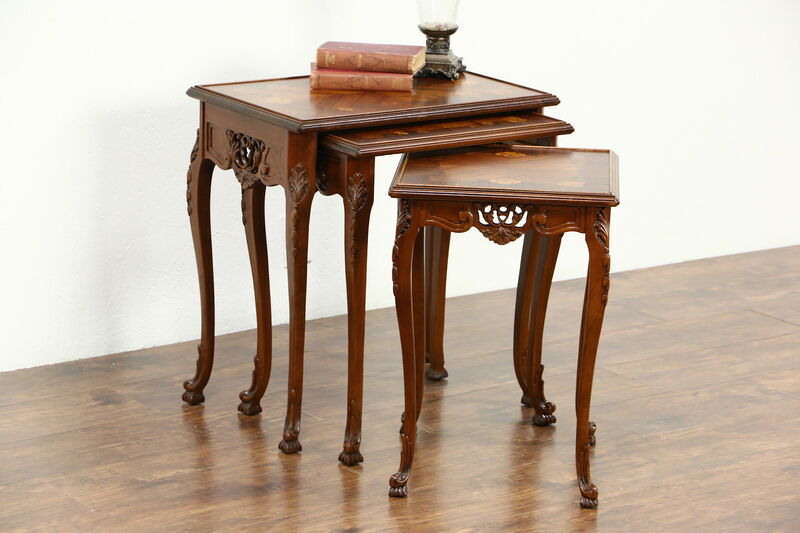 A splendid set of three nesting tables was carved of walnut with genuine rosewood inlaid marquetry tops. The restored finish is in excellent condition on this 1930's American made vintage furniture. Carving and piercing is exquisite, banded tops are works of art. The largest measures 23 1/2" wide, 16" deep and 24" tall.